Fireplace mantels are often the focal point of the rooms they reside in. 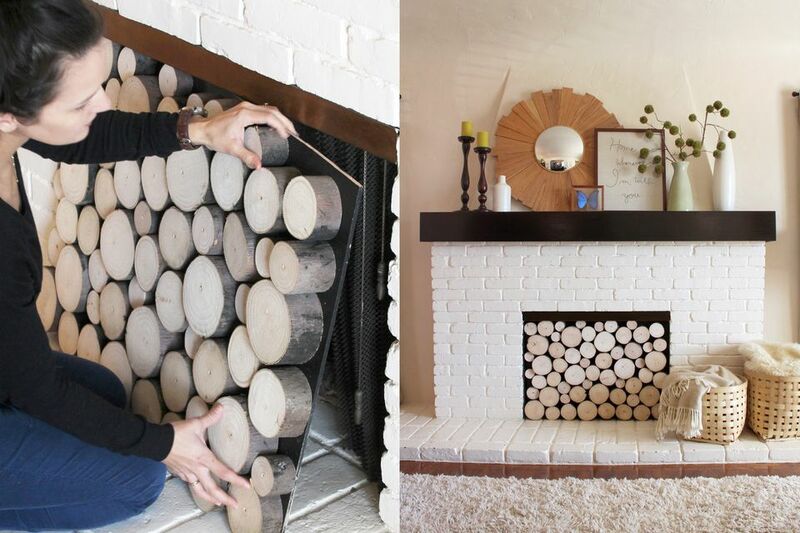 Learn how to make the most of them with these fireplace mantel ideas. Like with any display, a mantel display needs a certain amount of balance and proportion. Don't just randomly place items. No matter what you put on it, keep these tips in mind. Use items of different shapes and sizes. Start with taller items at the back and use smaller items as you work your way forward. Don't be afraid to layer items in front of each other – it creates depth. Remember, it's not a photograph and people won't always be looking at it straight-on. Items in the foreground should overlap those in the back. If you're a fan of symmetry, the tried and true formula that always works is to put one large item in the middle (such as a bowl of flowers) and then flank each side with matching items (create a mirror image). When using multiple items always use odd numbers. For instance, three candlesticks instead of two, or five bud vases instead of four. This goes for just about everything in decorating: when it comes to groups, odds are better than evens. For a formal look, anchor the mantel with matching items on each side. Try not to use a totally random assortment of items. Find items that compliment each other either with color, style or theme. The objects should connect to each other in some way. Balance doesn't have to mean matching. Several lightweight items on one side can be balanced with one visually heavy item on the other. To really create focus and call attention to a piece, place one large item in the center. Don't overcrowd! Don't put so many items on that the mantel looks cluttered or crowded. Give the items breathing room or they'll get lost in the mess. Some of these fireplace mantel ideas, particularly those dealing with balance and proportion can seem confusing, but they're really not. Your eye will tell you if something doesn't work. Just keep experimenting until you find it pleasing to look at. The really important thing to remember is that no display is permanent. You can always move things around and play with the setup.